HETIC was designed as first and foremost a living entity, which, in order to grow, had no other choice than to continuously adapt to uncertain changes in the world. Everything therefore has its importance, down to the smallest detail. The aim of HETIC is to train experts capable of anticipating change and have the ability to adapt and react accordingly. In order to acquire this particular skill, a comprehensive and cross-disciplinary approach is essential, notably in three distinct but interrelated fields. IT and development are the key to understanding how the digital realm works and building a solid foundation of knowledge. Building a successful company with a full understanding of the business and market is the greatest outcome for any Héticien. In 2001, France saw the emergence of the internet. Feeling that this new sector would be the catalyst for major changes in our society, the founding members decided to create HETIC, an innovative school which would meet the needs of this emerging market by continuously being reinvented and improved. 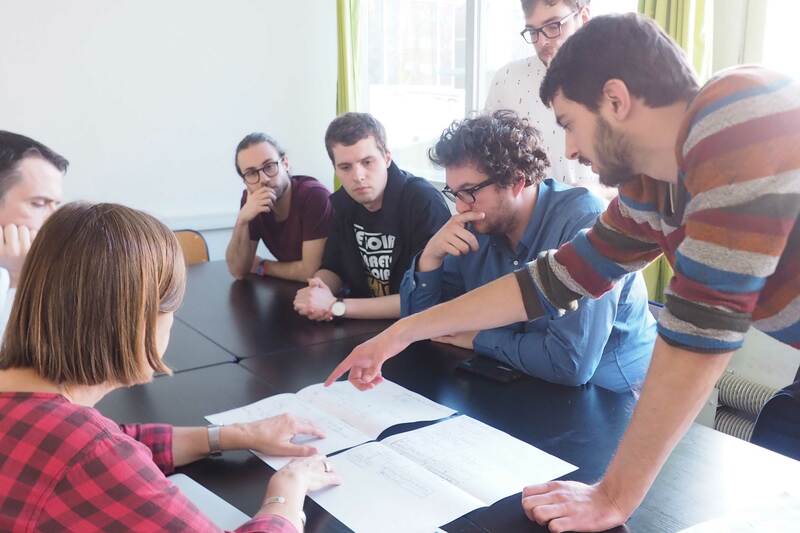 17 years and 1,200 graduate students later, HETIC is now the reference of digital schools in France and Europe. This success has led the school to grow around the world, starting with India. After spending more than 15 years building the best school in the digital field that currently exists in Europe, graduate students from HETIC are now being pursued and hired by the biggest digital companies around the world, including Google, Amazon, Facebook, UBER, etc. More than 95% of students are hired before the end of their studies at HETIC and their salary increases by about 10% each year (data from 2016 to 2018). Here you’ll see all different jobs that recent graduate students obtained right after their studies. Students have no major to choose. To be an expert, you have to be aware of all topics related to the digital realm, not just a specific one. Through HETIC’s program, each student gains significant first-hand experience working on real digital projects that leads them to become experts in their chosen field. With more than 1,500 graduates in 23 countries around the world, HETIC is now one of the biggest digital networks around the world. At the end of each term and at the end of every year, students are given the opportunity to evaluate the educators, the relevance of the subjects taught to them, and the pedagogical functioning of the school. This is done through questionnaires and meetings with the Dean. These numerous exchanges allow us to be responsive and adapt our programs to the realities of the business world.